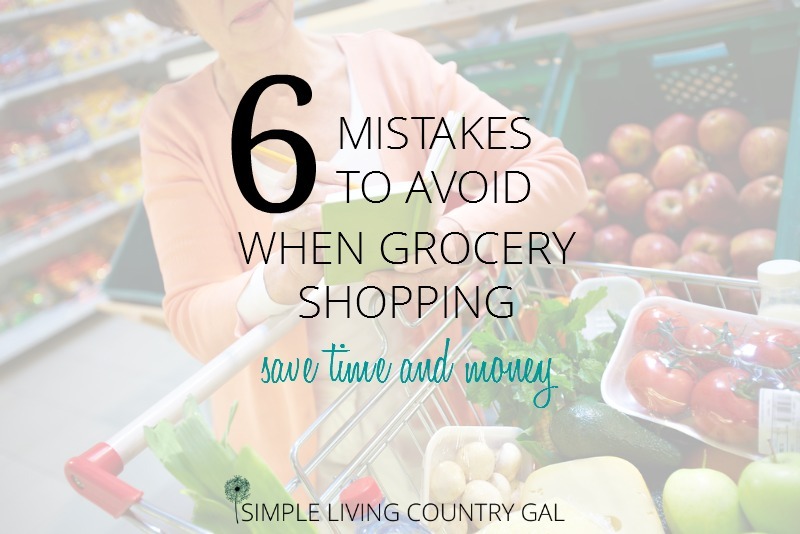 6 Mistakes To Avoid When Grocery Shopping. Grocery shopping tips. That tedious chore that if not done correctly can completely destroy your household budget in one single trip. It’s amazing how many people go into a store without a game plan just walking the isles putting food into their cart without paying attention to prices or shelf life. And you know what? I used to be one of those people. I even found it relaxing at times to mosey the aisles grabbing what I was in the mood for. Heck, I even told myself I didn’t need a list. That I would remember what we needed as I saw those items on the shelf. Half the time what went into my cart all depended on my mood and how loud my kids were. If I was in a rush it was all frozen convenience foods. If I was budgeting it was cheap empty calorie foods. If I was dieting it was expensive low-calorie foods. If I was craving sugar it was…well, you get the point. My mood decided exactly what went into my cart. Luckily that was a long time ago and since then I have learned how to shop smarter. As with all things, it is the simple tips that have the most impact. This is not a post on phone apps or complicated systems. These are simple effective tips that have been used for hundreds of years. They are easy to use, very effective and designed to get you in and out of the store spending the least amount of money possible. The 6 Biggest Grocery Shopping Mistakes to Avoid so you Save. My best grocery shopping tips! Mistake #1 Shopping on an empty stomach. Okay, you are probably laughing at this one a bit, but it is so true! You would be amazed at the amount and even the type of items that end up in your cart when you shop hungry. Shopping after you have eaten will actually save your budget and your waistline. Mistake #2 Shopping at the wrong time. There is nothing worse than shopping when everyone else does. When you are fighting crowds it can be difficult to make the best selections. In our area, Tuesday mornings tend to be the slowest days in the stores. Another plus is Monday night are stock nights so the shelves are full and neat. Not sure? Just call your store and ask. More often than not they will happily tell you when the shelves have the most stock. Mistake #3 Not having a plan. I know, you’re busy. You have a lot going on. You simply do not have time to make a list. Well, guess what….you need to make time. Just this one tip will save you not only time but a good chunk of much money as well. If you are new to grocery list making or you want to up your list making game, you can read my crash course here to get you started. How To Make An Insanely Effective Grocery List. Mistake #4 Shopping without a budget. I used to be so guilty of this! I would go in with a magic number in my head and start buying things. I would finish up, head up to check out, and find I had spent triple what I intended to. Now I take my budgeted target number, punch that into my calculator on my phone and keep a tally as I shop. This is so simple and a budgeting gamer changer! So what do I do if I find I have gone over budget? Get ready for this shocker kids…I PUT SOMETHING BACK! So many times people go over budget because they feel they must buy what they put into their cart, but you don’t have to and you shouldn’t. We are all on budgets for a reason. We work 40+ hours every single week, so why on earth would we want to throw that money out the window for food of all things? Make a budget, set it in stone, and STICK TO IT. If you get to checkout and you are not sure if you stayed on track, put items you can live without on the belt last. That way if you are over budget you can easily give those extra items to the cashier. Easy, simple, and a huge budget saver. Mistake #5 Visiting every single aisle. This one tip alone will not only cut your grocery bill big time it will save you loads of time as well! So many times we robotically march down every single aisle just in case there is something we might need. Before you know it our list of 10 items just become a cartload. Instead, take that insanely effective grocery list from # 3 and write those items in the order you will find them in the store or as close to in order as you can. Stick to the list and keep out of those isles that are not on the list. Mistake #6 Getting suckered into a deal. If you purchase items simply because you have a coupon or only because it is on sale you are not saving money! You are being played by the grocery store and that is the same as throwing money away. Buy it only if you need it!! That way you know you will use it. If you buy it because it is on sale and don’t use it, guess what? You wasted your money for no reason at all. Don’t let the stores take your money. Buy only what you need and only what you know you’re family will eat. If you want to make sure you are paying the lowest prices without having to rely on sales or coupons then you need a price book. 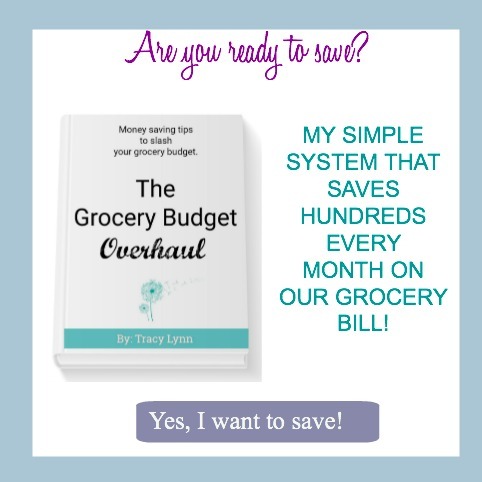 A price book is super simple and an easy way to take back control of your grocery budget. By knowing the best prices of the items you routinely purchase you will know when a good deal is actually a good deal. When visiting the grocery store having a plan of attack is the best way to go. Get in, get out, and pay the least amount possible. Use a list, know your budget, chose the best times and have your price book in hand. That’s the key to getting more for less in little time. 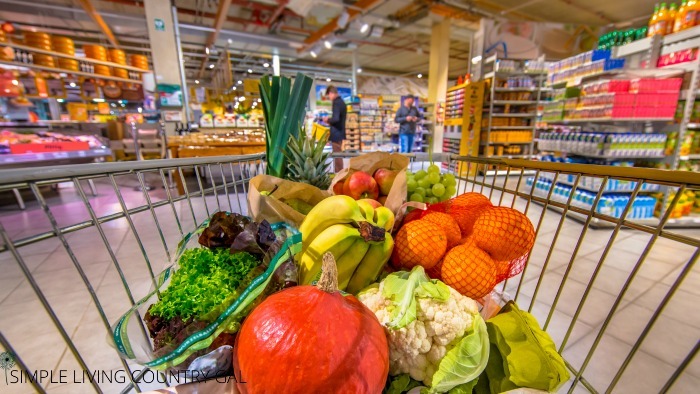 Want even more tips on grocery shopping? You can read 7 Surefire Ways to Save Money On Your Grocery Bill to save even more money on the food your family eats! Very good list…all very true! This was one of our featured post at Simple Homestead Hop this week. Thank you so much Sandra, I just saw that!! I am so excited, love Our Simple Homestead Blog Hop. The best one out there with amazing tips for everyone!